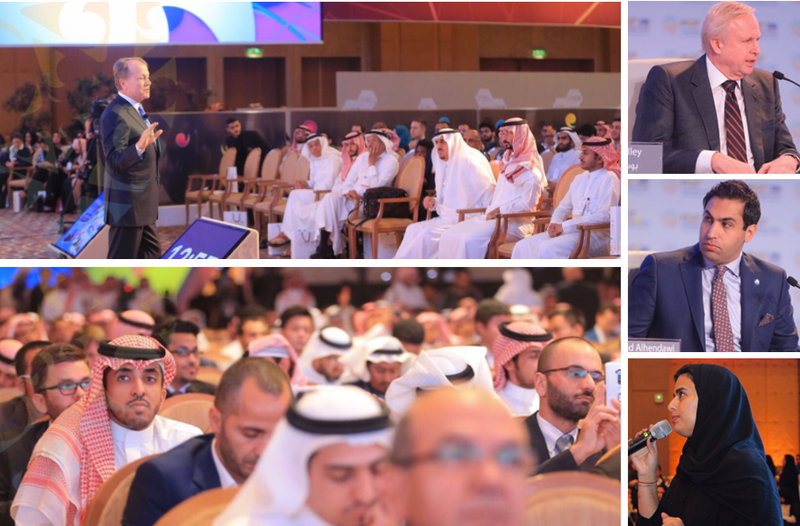 The MiSK Foundation under the sponsorship of Deputy Crown Prince Mohammed bin Salman launched today a major two-day forum in Riyadh that focuses on entrepreneurship and innovation issues. Over 75 prominent speakers include Cisco Chairman John Chambers, Emirati Minister Of Youth Shamma Almazrui, CEO of KAEC Fahd Al-Rasheed, Vice President of the Women’s Affairs at the General Sports Authority Princess Reema Bint Bandar Bin Sultan Al Saud, and Olympic champion Mo Farah, according to the Saudi Gazette. The forum has over 1,500 participants and 40 panel discussions. The Misk Foundation is seeking to enhance levels of innovation and entrepreneurship, tap into the potential of the country’s youth and create an international platform for them to exchange knowledge and experience in a way that positively enhances their developmental roles in the Kingdom. The unique gathering also aims to advance the National Transformation Program (NTP-2020) and Saudi Vision 2030. Areas covered by the forum include education, leadership and planning, human development, sustainable development, PR, media, IT and electronic applications, innovations, personalized trademarks, energy, entertainment, exploration, employment, corporate development, literacy, arts and sports. At the event today, Siemens signed a Memorandum of Understanding with the MiSK Foundation. The MoU outlines the joint intention to expose a greater number of Saudi youth to advanced technologies, to expand the Kingdom’s tech community, and to develop the next generation of business leaders and experts in digital technology. The MOU was in line with the goals set out in Vision 2030.